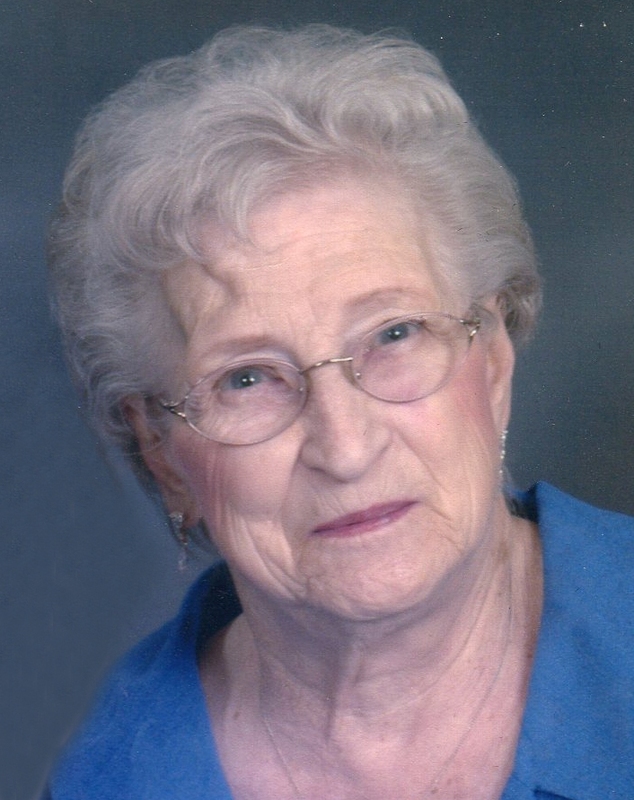 Agnes R. Vandiford, 99, of Fremont, OH passed away peacefully on Friday, October 6, 2017 at Hospice of Northwest Ohio in Toledo. She was born on February 6, 1918 in Fremont, the daughter of Otto B. and Frances E. (Pahl) Wasserman. She attended Clyde High School. Agnes married Charles J. Miller on April 15, 1939 at St. Joseph Catholic Church and he died June 13, 1953. She then married Millard M. Vandiford on May 3, 1955 at St. Michael’s Church in Gibsonburg, OH and he preceded her in death in 2002. Agnes attained her L.P.N. Certificate while working at the Villa Maria Nursing Home where she worked for fourteen years. Agnes was a member of Sacred Heart Catholic Church, Rosary Alter Society and Church RENEW group. She was also a member of Sandusky County Senior Citizens. Agnes loved to sew and used to make all her children’s clothes. She enjoyed reading and gardening. Agnes is survived by her children, Karen S. (Joseph) Ackerman, Fremont and Marcia L. Vandiford, Oak Harbor, Theresa F. (Franz) Papesch, Oregon, OH and Charles T. (Daisy) Miller, Green Springs, OH; fifteen grandchildren; twenty-two great grandchildren and twenty-one great-great grandchildren. She was preceded in death by her parents; both husbands; daughters, Sarah A. Vandiford and Judith Ann Brickner; sisters, Anna May Sterling, Martha Picciuto, Mary E. Turco, Ruth M. Gerbech and Rita M. Wasserman; brothers, James F., Jerome H. and Frank J. Wasserman. Visitation: Wednesday from 2 – 4 pm and 6 – 8 pm at Wonderly Horvath Hanes Funeral Home and Crematory, 425 E. State St, Fremont, OH. Service: Thursday, October 12, 2017, 10:00 am at the funeral home with Deacon Thomas Ackerman officiating with one hour of visitation prior to the service. Burial: St. Joseph Cemetery, Fremont. Dear family of Agnes, please accept my deepest condolences. May God’s promises found at Acts 24:15 and Psalms 37:29 bring you comfort during this difficult time. Mary Lou Dusseau has expressed my sentiments.I am the oldest son of Carroll Wasserman,Al Wasserman’s youngest brother. What a gift from God all the years that you enjoyed the life of your mother, Agnes. My condolences to the family as she journeyed from this world into the next. May you be comforted in your loss. Trust that she is born anew!